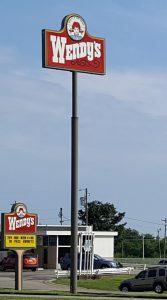 Have you ever seen a giant sign that grabbed your attention – something that you could see from the interstate, and that showed you that there was a gas station or a fast food place nearby? Those signs are pole signs. Pole signs are brilliant for attracting customers. They serve as a beacon to show that your business is nearby and open for business. They can act as a permanent indicator that your business is just off the next turnoff, and they give you maximum visibility for a low maintenance requirement. Liberty Signs, Inc is the leader in Pole Sign design in the area, and offers not just design and manufacture but installation too. We will work with a dedicated team of installers and fabricators, and help you to get the perfect sign for your needs. We can help to increase your traffic, and bring you more customers – meaning more money at the bottom line. Call us today for a free consultation with one of our pole signage experts. Our eye-catching lighted pole signs are perfect for attracting late-night traffic. Standing up to 20 feet or more in height can bring in weary travelers to your hotel, gas station, food stop or other facilities. These durable signs are truly impressive to look at, and while they can seem like a substantial investment, they can draw traffic to your facility and will quickly pay for themselves thanks to the increased custom that they will attract. 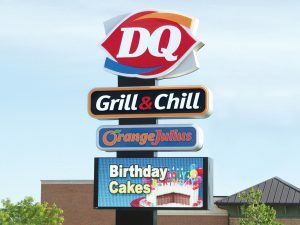 If you’re not sure whether such a sign will work for you, then one of our team will be happy to come to your store or facility and conduct an evaluation to help you to determine whether such a sign would be feasible for your business. Call Liberty Signs, Inc today at (864) 210-1115 for a Free Consultation with a Pole Sign Expert! These signs stand above the rooftop of your business, and are usually bigger and provide more information about the company in question. They will often be made from a heavier material and may have a broader base or dual support instead of just one pole. Tenant Signs are typically used to advertise several businesses that are all located in one single facility. 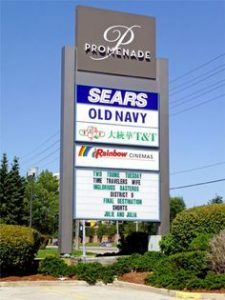 These signs are often used for malls or complexes, large offices or shopping centers. If you aren’t sure what sort of sign you need, we can recommend different options with you and provide you with insight based on your business. 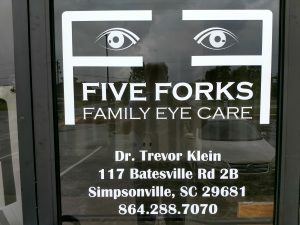 We are eager to get to work on signs for your business. We will design, manufacture, ship and optionally install your sign, and do post-installation cleanup too. We are a dedicated local sign supplier and can cater to all of your business needs. Knowledgeable, prompt in communication, professional.